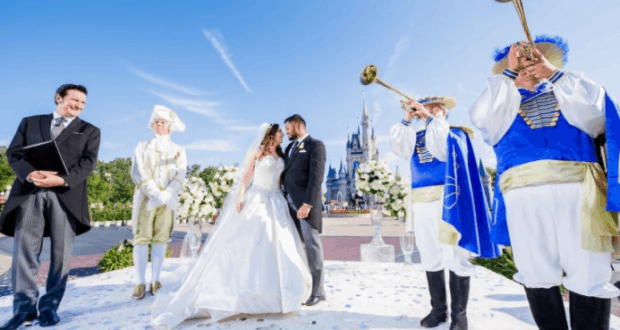 Disney Parks Blog shared an amazing look at a couple who said “I do” at their very own Disney wedding live on Good Morning America. 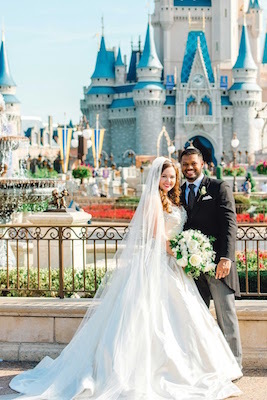 The couple was married in front of Cinderella Castle at Magic Kingdom Park within Walt Disney World. The couple got engaged while on a visit to Walt Disney World. They wanted a Disney wedding but had expenses that caused them to delay their wedding after the flooding and damage done by Hurricane Harvey. Alexis and Jay were selected to be the recipients of a a fabulous “royal wedding” from Disney’s Fairy Tale Weddings. They were chosen from a total of 2,500 entries for this amazing award. The wedding aired live on TV, but if you missed it you can check out a little glimpse of the nuptials below. Walt Disney World is one of the most magical places to have a dream wedding! Who else out there is very jealous of their amazing Disney wedding?